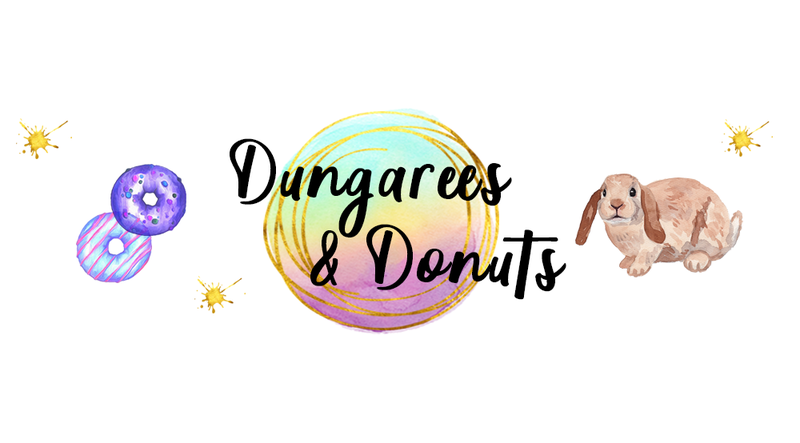 So it has been forever since I have done one of these, but I have a few different things I've been doing and wanted to share the blog love, this also has a few things from last weekend. So what have I been doing? Well last weekend I had a lovely night in with one of my best friends and ended up getting quite drunk and the rest is history, but I find some funny photos of us on my phone (not my best picture gotta admit!) 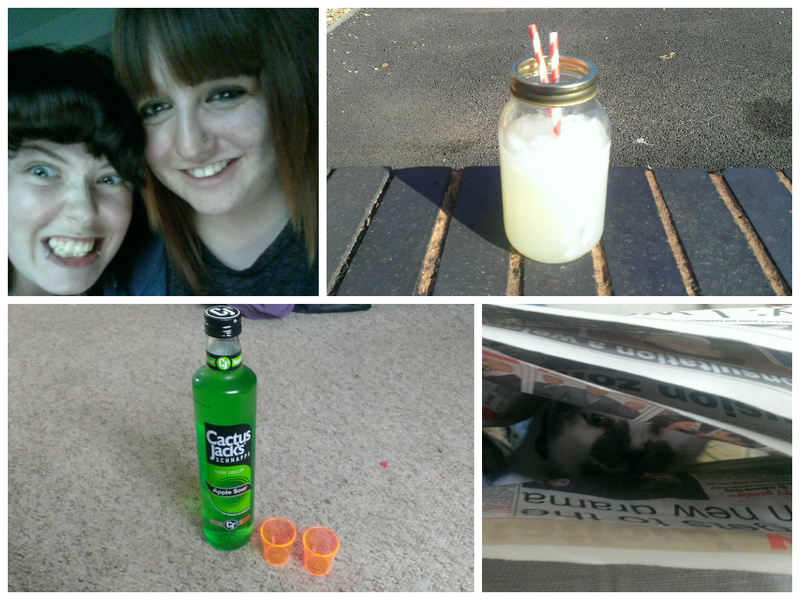 Managed to get through a bottle of Cactus Jacks, that stuff is amazing. I have been having a LOT of driving lessons in preparation for my test which is coming up at some point this week *nervous face*. I decided it would be cute to put some lemonade in a jar because who wants to use a glass when you can use a jar?! & finally my cat decided to get herself into the paper and just chill and I found it so funny that I just had to share. Tune of the week: The Vamps Ft Demi Lovato- Somebody To You. The best of the body butters! Who doesn't love a good body butter? I spend hours on end in body shopping smelling and looking at their huge selection of body butters only to normally come out with the same two- chocolate and orange although I want to experiment with what they have to offer I always go for one I know I love. 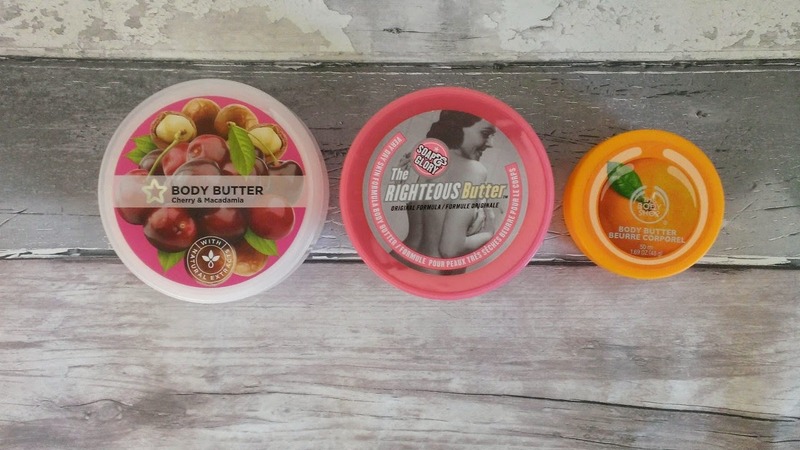 I thought in today's post I would share with you my three favorite body butters, two I have repurchased for a long time and one is a very new one to my collection but it is fab! So this is the newest body butter to my collection but I instantly fell in love with it, the smell is such a nice one and reminds me of sweets (not sure if that's a good thing to smell like) even my boyfriend said he liked it! The pricing of this Body Butter is £3.99 so the cheapest on the list but still achieves the same great results, if you aren't a fan of sweet smelling body butters they offer many different ones such as vanilla and coconut. I found the body butters to be very moisturizing and my body felt super smooth and smelt gorgeous after, only thing I did notice compared to the others is that it left your skin feeling slightly more greasy, but only a tad and it isn't the end of the world! This body butter also contains macadamia oil which some of you may of heard of as you can also use it for the same thing but for hair- so a big bonus. Final thing I will say about this product is that it is cruelty free so for all of you who are looking for a cheaper cruelty free alternative to the body shop this is definitely one to go to! If you haven't tried out this body butter yet you are seriously missing out! Most of us bloggers are big fans of Soap and Glory, they have the most amazing products and although they're a big more pricey than other high street alternatives I can say that anything I have bought from them I've hands down loved! The body butter has such lovely packaging the and invites you in! It's not my favorite smellnig body butter I'll be the first to admit that, but for what it does offer it's worth the money. The body butter itself contains "softening shea butter and aloe vera" things that both great things to have in a body butter. You get your moneys worth for the size of the pot. After using this for a few days after showering my skin did feel softer and it is easy to rub in and doesn't leave the skin feeling greasy. When I was looking for my full sized version of this for the picture I could not find it anywhere! So you got the mini version instead, so Body Shop Butters, these are something I've been using for at least 3 years and I've owned just about every one there's something about the smell of them that invites you in, there's so many different ones to pick from so you're not short for choice- my favorites being the satsuma and the coconut ones. You may of noticed it's a little more pricey than the others so I do usually snap them in up the sale when they are £5- much more reasonable. I have never found any problems with them other than that, they are always very moisturizing, smell delicious and don't leave your skin feeling at all greasy. I used to weekly post wishlists but then took a break with posting them, but with so many gorgeous things being around at the moment I decided I would start posting them more often again. I recently came across Spy Love Buy and fell in love they have so many gorgeous pairs of shoes and I just want them all, it's not often I post about shoes- mainly because I spend my life in flats and converse but as I am getting older I want to change this and wear more heels and wedges whilst looking through Spy Love Buy, I found at least 10 pairs of shoes I want on my feet, but I decided compile it into a wishlist of gorgeous shoes, the amazing thing about Spy Love Buy is the fact that all of their prices are so reasonable and much cheaper than most high street stores. 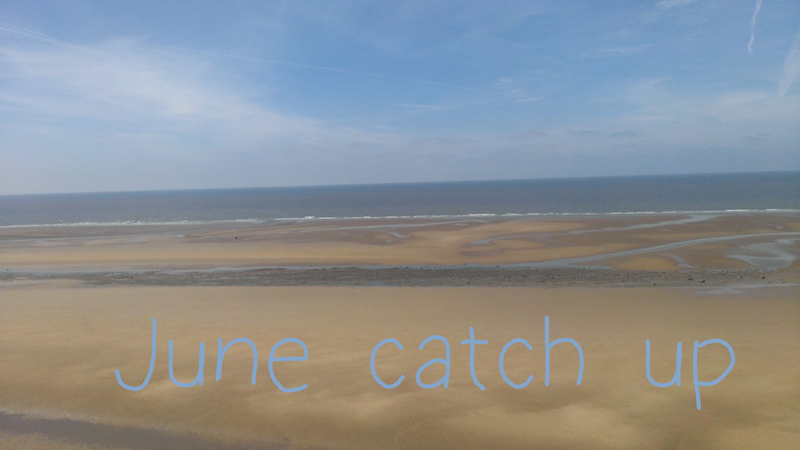 If you follow me on twitter you may be aware that I have been posting considerably less than I usually do which is strange for me as I always nearly manage to a lot everyday so it's fair to say I've had a very busy month I am unsure where June has gone at all to be honest this year is just flying by and it's very strange to know that we are now in July but I am also happy about this as it means it is getting closer to my Florida holiday each and every day does a little dance. So what have I been doing this month which has made so busy I hear you ask? Well lets start from the beginning of the month. I started the month snowed under with university work and I am happy to say I have passed my first year and although it hasn't been easy at times I am proud of myself for sticking with it and passing, then my contract changed at work which means working for longer hours but less days which means I end up missing some blogger chats some weeks but it also gives me a lot more time when I do have to blog and do other things. Then I booked in my driving test for later on in July which means I have been having as many driving lessons as humanly possible to make sure I am up to standard when it comes to my driving test, I have also been organizing a blogger meet up with my lovely friend Katrina which is happening on the 19th of July in Birmingham (tweet me for more info!) and if that wasn't enough I went on two trips away and hardly used my phone at all, the first was to visit my grandparents in Yorkshire and as I hardly see them I wanted to make the most of it and they took me to Blackpool for the day, if you want to read about that click here and when I got drunk with one of my best friends we decided for her birthday we would plan a spontaneous trip to Blackpool, so I spent a few days there and hardly looked at my phone at all as I was having so much fun drinking, arcading and eating (another post to follow soon) so basically I just thought I would write this post to let you know where I've been and that I will be throwing myself back into my blog 110% for the rest of summer until I go to Florida, and I would love to line up some guest posters for when I go Florida so let me know if you would be interested! 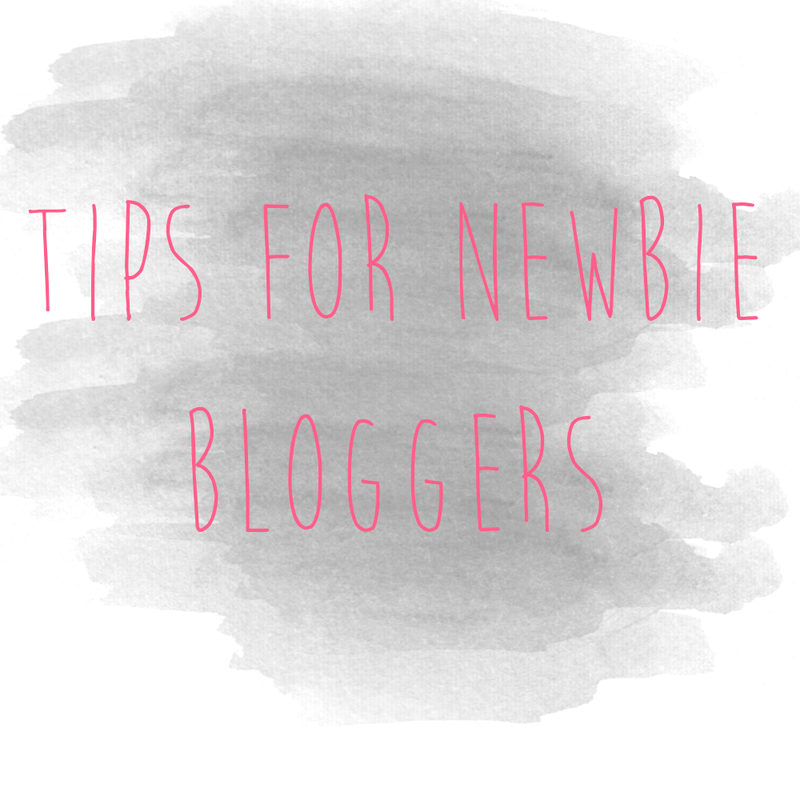 I hope you have enjoyed this post which is a bit more personal to me and if you would love to read more posts like this do feel free to let me know in the comments! About two weeks ago I purchased some dupe brushes which are SO similar to the Real Techniques brushes from Ebay for £2 each and free delivery and I was so excited when they arrived the other day as they are very similar to my Real Techniques brushes and almost as good quality also! Although I would recommend the Real versions to anyone as they are just so good, sometimes people can't afford the £8-10 per brush or £20 for a set so this is definitely a good cheaper alternative. I use a selection of their brushes including the buffing, powder and blusher brush as part of my daily routine and they're fab but I've had them for a while now and could do with some new ones, but I thought I would purchase them in the states so whilst I wait to go the states I thought I would test out these brushes and share the results with you lot! 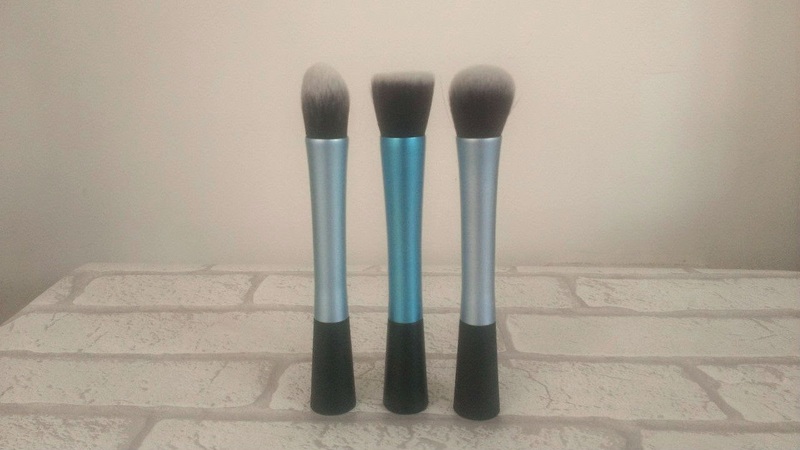 I can't find the exact ones I bought but I searched something like Blue Professional Styled Brushes and a lot of brushes came up, some in sets just like the Real Techniques if you are looking for the full set that is definitely cheaper but if you just want certain brushes like I did you can get them for around £2 each. 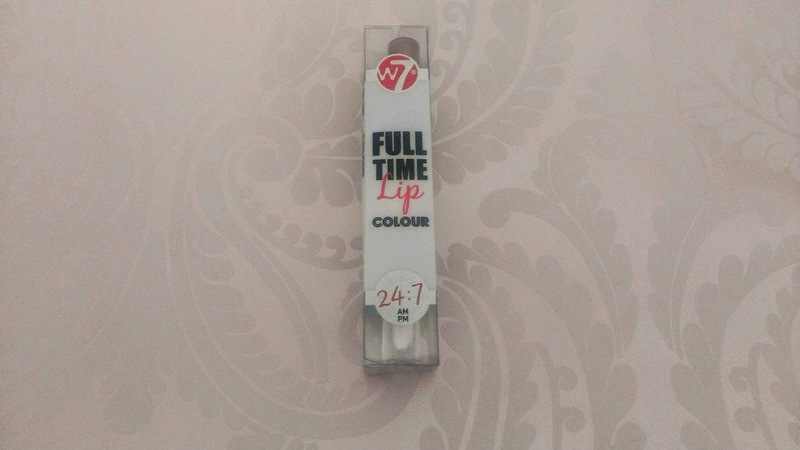 Recently W7 were asking for bloggers to review their new lip product "Full Time Lip Colour" and I am a big fan of W7 make-up so I jumped at the chance to do so, when the product came it was a box and had a lip gloss end and a colour end, I have used another brands product with similar claims in the past so I had this in mind, I was pleasantly surprised with the result after applying just before lunch and it lasting most of the day whilst I was having a meal and also through drinks which a lot of lip products fail at. 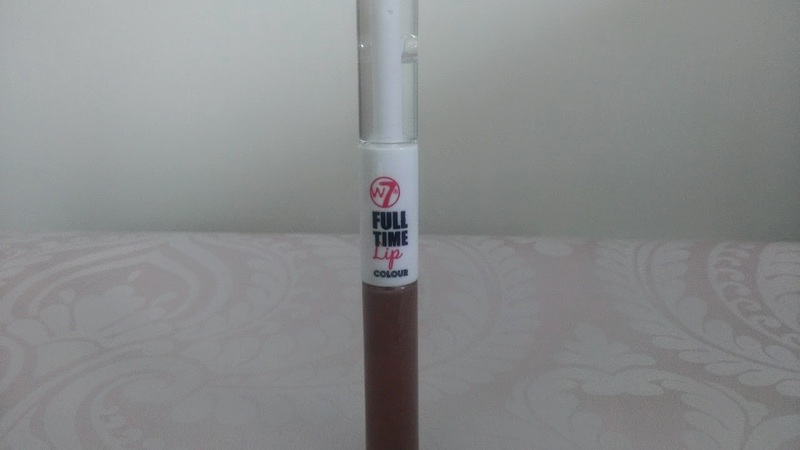 I am not usually one who wears Lip gloss due to them normally being too sticky but I was pleasantly surprised when it came to using this, the side of the box tells you how to apply the lip gloss for the best results, firstly you apply the colour to clean lips let it dry fully and then apply the gloss for an amazing result. 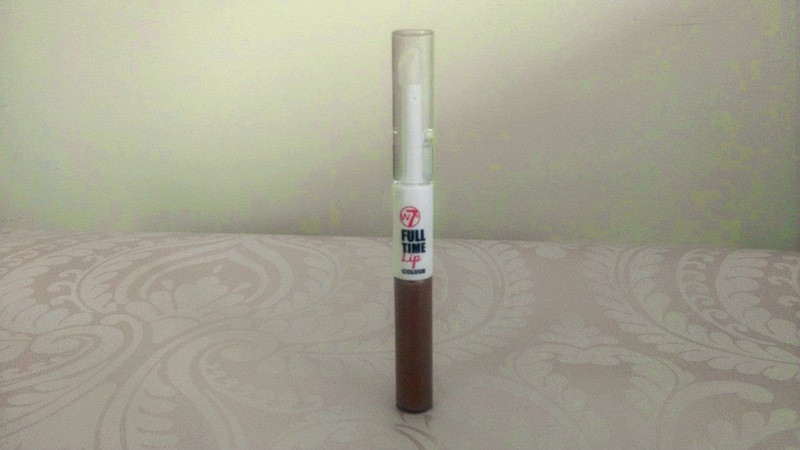 I received the colour Soft Touch which is a brown colour, the colour itself isn't one I'd pick and I am not a fan of as I prefer bright colours the Lip gloss itself worked really well and I am excited to look into the other colours that they have in their collection. This product costs £3.49 which I think is a bargain and is a great rival for similar products on the market!